How to Add Watermark to Protected PDF in an Efficient Manner? Data Forensics / How to Add Watermark to Protected PDF in an Efficient Manner? PDF is all-time favorite format of almost every user to store and exchange information. Apart from this, several advance features associated with PDF file like a high level of security make it more popular among the users. It is mostly used for personal documents, legal document, business reports, emails, and eBooks. This way it becomes easy for the user to manage the important in a perfect way. 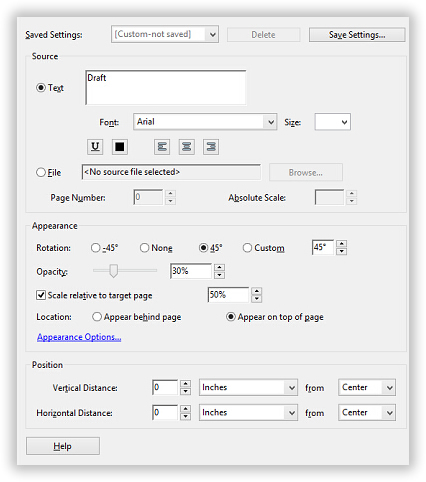 Now, if it is so much famous among the users, there are numbers of an advance feature supported by the PDF. Among all such features, securing PDF file from unauthorized access is the important one. In order to do the same, one can add watermark to the PDF file. It is one of the common ways of securing PDF from plagiarism or any other misuse. Another possible thing that a user can try is secure the PDF file by applying password on it. So, whenever a user has an important PDF file, he or she can add watermark to it and make it more secure from being forged. However, the process becomes somewhat difficult if the file is already secured by a password. In such type of situation, one gets stuck and does not know what to do next. Thus, this will let users know how to add watermark to a protected PDF file. Why It is Necessary to Add Watermark to PDF? Before adding watermark to the situation, knowing the purpose behind it is also really important. Thus, this section of the post will provide users the information about the same. The watermark can be of any form like text, image, or logo. After understanding the requirement of applying watermark to PDF files, it’s time to understand how to add watermark to protected PDF files. When it comes to adding a watermark in a secured PDF file, it is necessary to unlock it first. Now, the question is how it can be unlocked at first place. However, there is no such manual solution available that one can use. Thus, a user needs to look for some professional solution. How to Unlock Protected PDF via PDF Unlocker? Free download PDF password unlocker software & remove owner level password protection. In addition to this, the software is capable to remove restrictions also from protected PDF file like edit, copy, paste, print. With the help of this application, it becomes easy for the user to get complete access to protected PDF file. Thus, if a user is having a protected PDF file and unable to perform any task on it, this PDF Unlocker application can be used to unlock it. The best part of this application is that it let users remove comment or text protection also from PDF file. When a user is done with the unlocking of protected PDF file, it’s time to add watermark. To do the same, there are multiple solution available that one can try. 7. 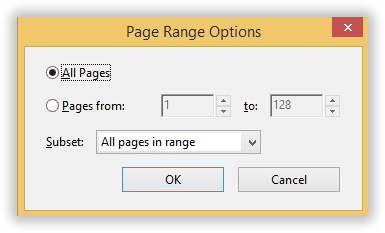 At last, click on the Appearance option and check whether the appropriate option is selected or not. Another simple, easy, and reliable way of adding watermark to PDF is with the help of PDF Watermarking Software . It is one of the effective solutions that one can try to add watermark in PDF. The software is completely free of cost that provides users an option to add watermark i.e., text or image. A user is allowed to add watermark to any number of PDF files with any restriction in batch. By doing so, one can protect the PDF documents from any kind of alteration or misuse. Apart from all this, a user can customize the text of watermark in multiple ways like changing color, size, and place. However, in the case of image watermark, one can add image of any type i.e., JPG, PNG, GIF, etc. This application can be installed and launched on any version of MS Windows OS. Everybody wants their data to be safe and secure always. And, to the same, a user can add watermark to PDF file and prevent it from any type of misuse. In order to be double sure about the security of data, a user can apply password also on the PDF file. Now, in this post, multiple ways to add watermark to protected PDF file are discussed. A user can take help of any of these approaches and avoid misuse of his or her PDF file.